This Halloween 64 million Americans will carve a pumpkin, but did you know the Irish brought the tradition of carving pumpkins at Halloween to America? Note: This post contains affiliate links which means I will earn a small commission should you choose to purchase a product through this link. The price you pay does not change. 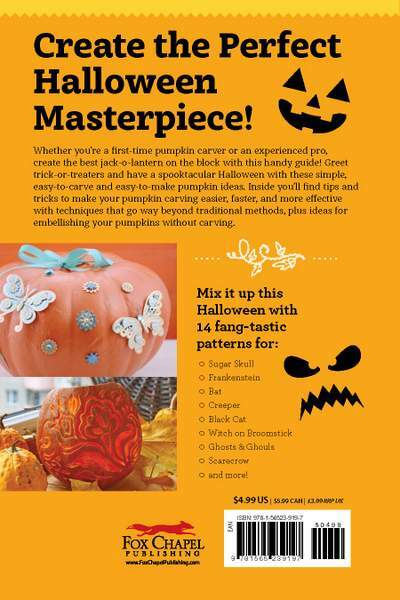 In the new book Easy Pumpkin Carving: Spooktacular Patterns, Tips & Ideas by Colleen Dorsey you will learn how to carve the best Jack-O-Lantern on the block. This little book teaches both traditional and modern pumpkin carving and decorating techniques. 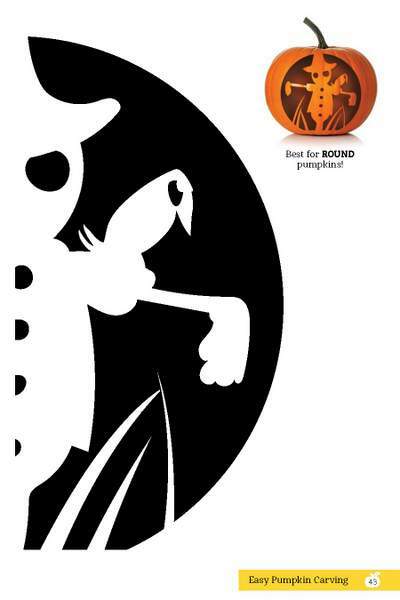 From the classic Jack-O-Lantern and the Spooky Black Cat to creative new designs, it really has something for everyone! Today I have a copy of this little book for a reader to win, together with a pumpkin carving tool kit. But before I tell you how to enter, let’s first explore a little history of pumpkin carving. The Irish brought the tradition of carving Jack O’Lanterns to America. But, the original Irish Jack O’Lanterns were not made out of pumpkins. In Ireland rutabagas or what the Irish call turnips were used to make lanterns. Not a pumpkin to be found in Ireland back in ancient times. Our Celtic forefathers carved turnips on All Hallow’s Eve. They lit them up by placing a glowing ember from a turf fire inside the carved turnip shell. The lanterns were said to ward off evil spirits. Pretty scary looking this turnip head lantern. 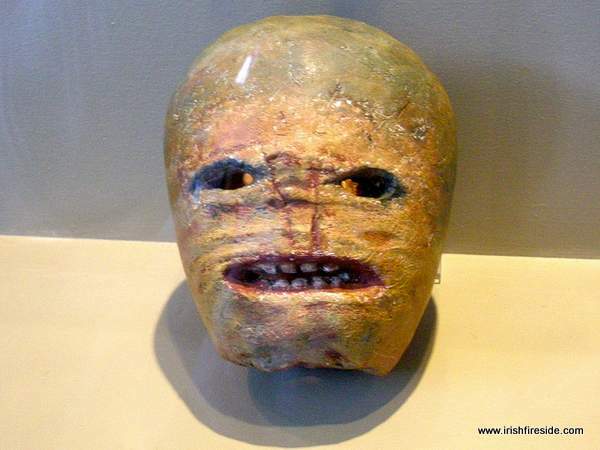 No wonder the Irish adopted pumpkins for their Halloween artwork once they got to America. The reason for all this turnip carving centered around a notoriously mean character called Stingy Jack. His legend has been handed down for generations in Irish folklore. There are many versions of the tale of Stingy Jack, but here’s one I like. Jack was a bit of a cod actor. He loved to play tricks and one day he made a serious mistake. He decided to play a trick on the Devil himself. Using his guile and smooth talking ways he managed to convince the Devil to climb into an apple tree. When the Devil wasn’t looking Jack placed crosses around the tree trunk, stranding the Devil in the tree. And then Jack did the unthinkable. He made a deal with the Devil. Before removing the crosses to free the Devil, Jack made Old Nick Himself promise not to touch his soul when he passed away. Decades later, Jack passed to the other side and headed off to the gates of Heaven. Now Stingy Jack’s reputation preceded him and Saint Peter denied him entry to Heaven. Stingy Jack headed toward Hell but being true to his promise, the Devil wouldn’t let Stingy Jack enter. Jack was stranded between Heaven and Hell and in a very dark place. He asked the Devil for some light, and the Devil threw him a burning coal. Jack placed the coal inside a carved out turnip and has been roaming the highways and byways of Ireland and the world ever since. 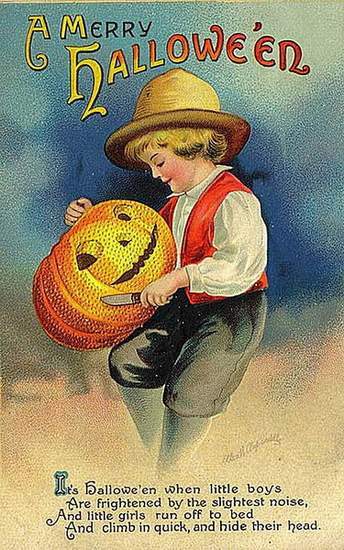 On All Hallow’s Eve Irish tradition was to light Jack O’Lanterns to keep Stingy Jack away. Turnips, rutabagas, beets and potatoes were hallowed out to hold burning embers and light up the night. When Irish immigrants came to American shores in droves throughout the 1800’s they brought their rutabaga carving ways with them. Now rutabagas are not easy to carve. For anyone who likes to eat rutabaga as a side you know how difficult it is to peel and cut a rutabaga. The Irish in America soon discovered the larger and and easier to carve pumpkin and got busy making their Jack O’Lanterns for Halloween. This Irish tradition of carving pumpkins continues to this very day throughout the United States. 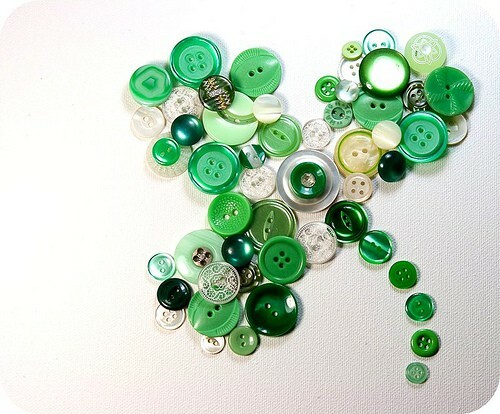 And so, as you carve your pumpkin this year, remember you are practicing a little bit of your Irish heritage. And now that I have you all interested in carving pumpkins let’s explore Coleen Dorsey’s excellent book which is chock full of pumpkin . Photographs throughout this book provide details of the numerous techniques shown. I love all the wonderful images of finished pumpkins. 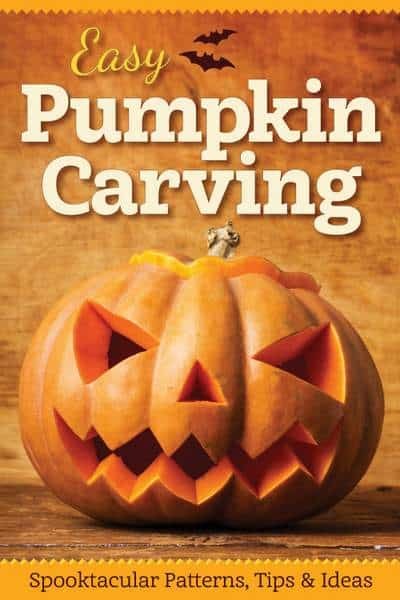 Whether you are a beginner or a pro when it comes to pumpkin carving, this book has something for everyone. 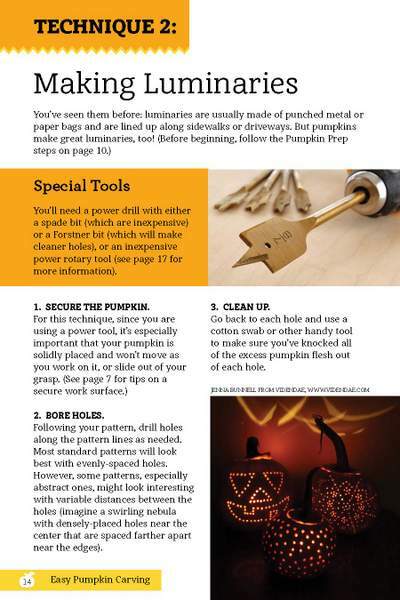 There is a complete section on how to embellish pumpkins which is perfect for younger children. No sharp tools required. Etching is another option for older kids, and there’s a link for an online pattern at the end of the book. Plenty of inspiration to be found for all pumpkin crafters this Halloween season. Until I read this book I had no idea there are so many ways to decorate a pumpkin for Halloween. First of all, you’ll find tips and tricks to make pumpkin carving easier, faster, and more effective than the carving you might already know how to do. Second of all, this book helps you choose the perfect pumpkin from the many varieties now available. Pumpkins are even sold in Ireland these days. Apparently the Irish climate is perfect for growing pumpkins. 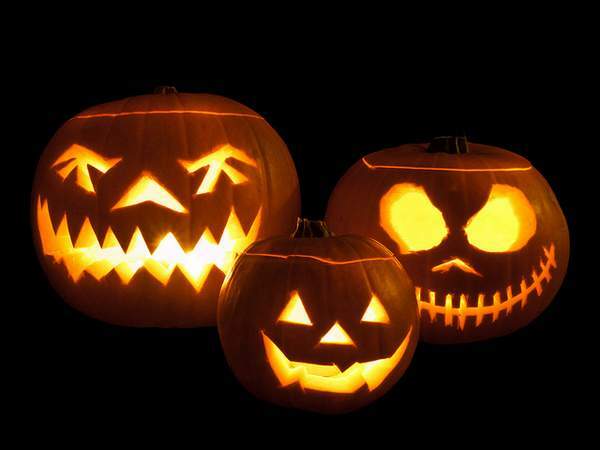 You will also learn several techniques for carving and embellishing pumpkins that go beyond traditional carving. You can create luminary pumpkins and etched pumpkins, combine multiple pumpkins in creative ways, and embellish pumpkins without even touching a knife. It won’t be until you see the ideas presented in this book that you’ll realize just how cool (and easy) pumpkin carving can be! One lucky reader will win a copy of this Easy Pumpkin Carving book plus a pumpkin carving kit to help you on your way. To enter just leave a comment on this blog post by noon on Thursday, October 19th, 2017. Any comment will do. What you write does not affect your chance of winning, but if you need inspiration why not tell us about your family Halloween traditions or perhaps you have a pumpkin carving tip to share. 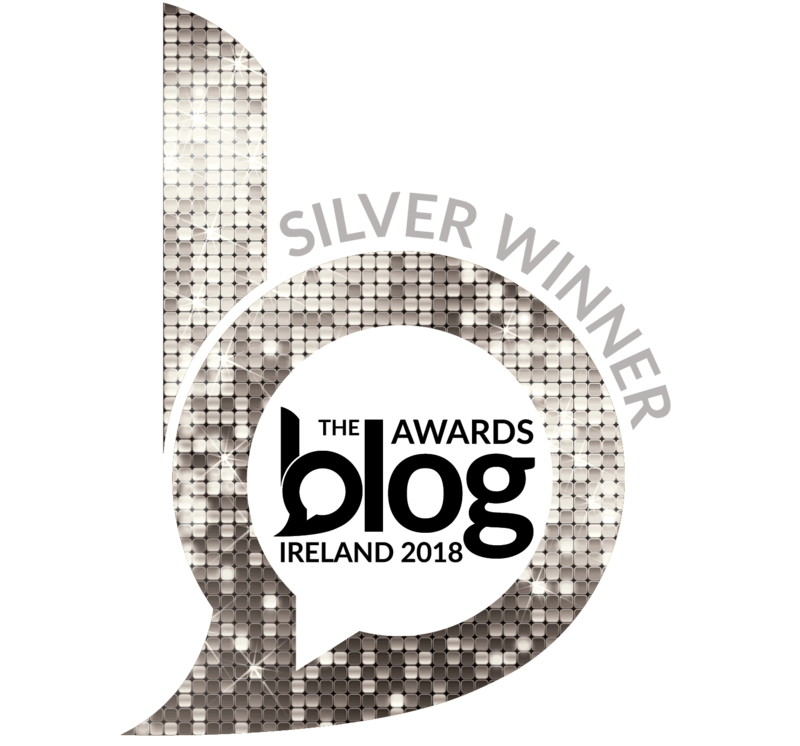 The winner will be announced on Thursday, October 19th 2017, at the bottom of this blog post. A big thank you to Colleen Dorsey for this wonderful book and to Fox Chapel Publishing who provided me with a digital copy of this text to help me prepare this blog post. 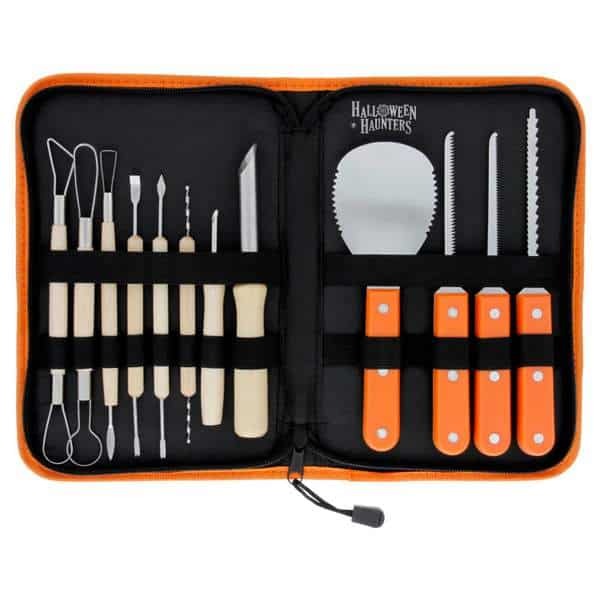 And if you win, be careful with those sharp carving tools. Happy pumpkin carving to all. A winner has been randomly chosen using the Pick Giveaway Winner Plugin for WordPress. The happy pumpkin carver will be …..
I’ll send Veronica an email to let her know the good news. Many thanks to all who entered this giveaway and thank you to Fox Chapel Publishing for introducing this book to us. Hi Maureen – Lovely to learn you enjoy crafts and making things. The carved turnip is really spooky. First time I ever saw that ! There are some very intricate pumpkin designs depicted and having the right tools for the job would make it all go smoother. Great post! Hi Miriam – Glad you enjoyed this post. That carved pumpkin would definitely keep Scary Jack away from any door. It is very spooky indeed. Thanks for this Halloween history lesson. Glad to share this tale of the Irish origins of Halloween. Very interesting. 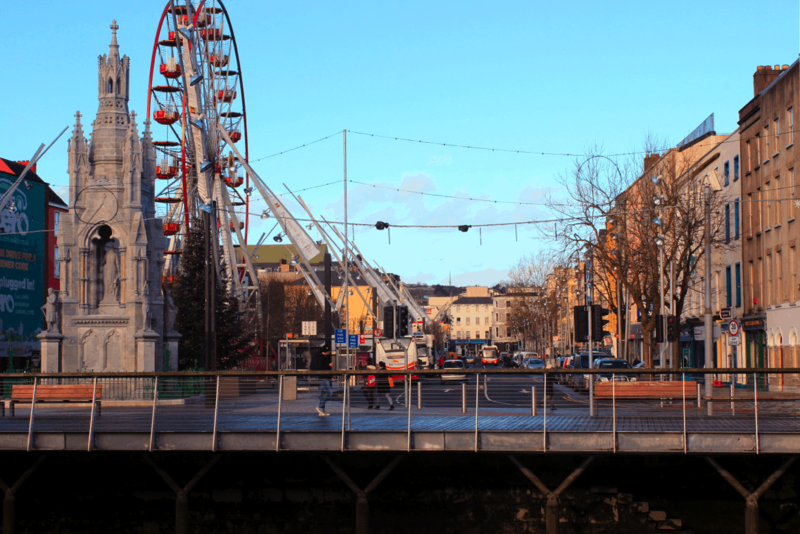 I had no idea that the tradition started in Ireland! Hi Deirdre – Carving a turnip was no easy job so it’s no wonder that Irish immigrants adopted the pumpkin for making their Jack O’Lanterns. Spootacular idea! For a goulash giveaway! Hope I win! Best of luck, Natalie. Thanks for checking out this post and giveaway. Astonishing how pumpkin-carving has become such an art form. And I think I’ll try my hand at carving a rutabaga this year, too! Good luck with that rutabaga Rebecca – it’s a pretty tough vegetable to carve. The intricacies of some pumpkin designs are amazing. Happy carving, Veronica. Five different designs for five pumpkins – that is a challenge indeed. All the best, and enjoy these special times with your kids. I would like to have this book and the kit looks great! Thanks for supporting this giveaway, Bernadette. Hi Suzanne – I too love Halloween. Happy 32nd Anniversary to you and your husband. Lovely to hear you have had many Halloweens together and that your husband loves to carve pumpkins. 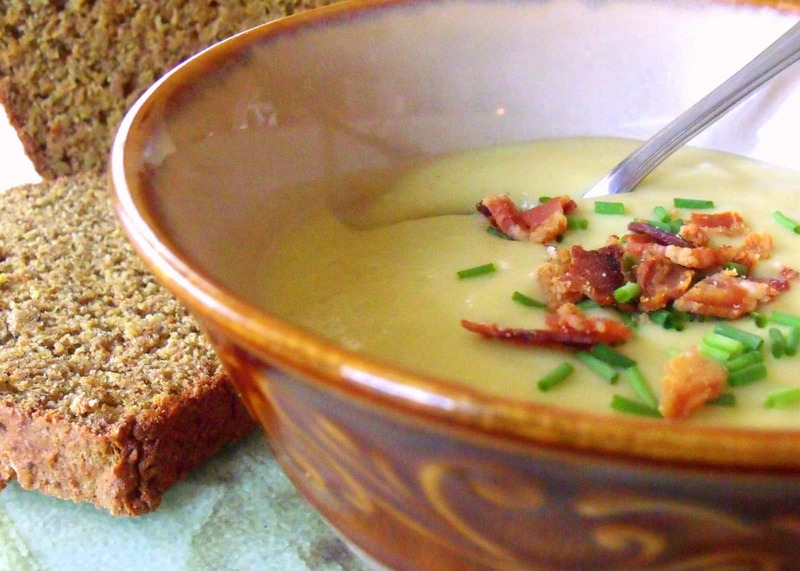 A good Irish tradition that has spread throughout the US. 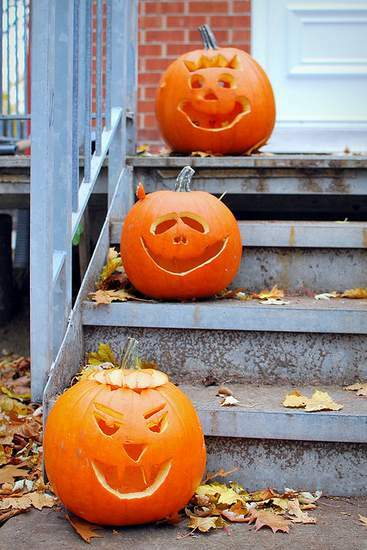 I just love Halloween and all the decorations – especially the pumpkin carving! Thank you for all the information regarding jack o’lanterns! Hi Jeanne – I love all things pumpkin and all things Halloween. 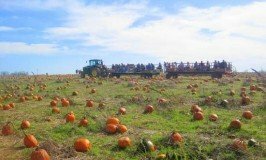 Pumpkin patches and pumpkin carving – just wonderful family fun. Thanks for stopping by to check out my Halloween ramblings. And the Jack o’Lantern story! This is just terrific! Thank you, Mairead* and Coleen Dorsey, and, God bless you! I hope you really enjoyed your Irish course. 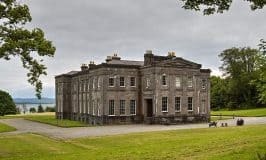 It sounds very interesting – so glad I was able to share this little piece of Irish history. I love Halloween holidays, specially pumpkin carving with my buddies. Making fun with them at every point. And we’ll all be carving pumpkins very soon. So glad these ideas were inspirational for you. All the best, and happy pumpkin carving.